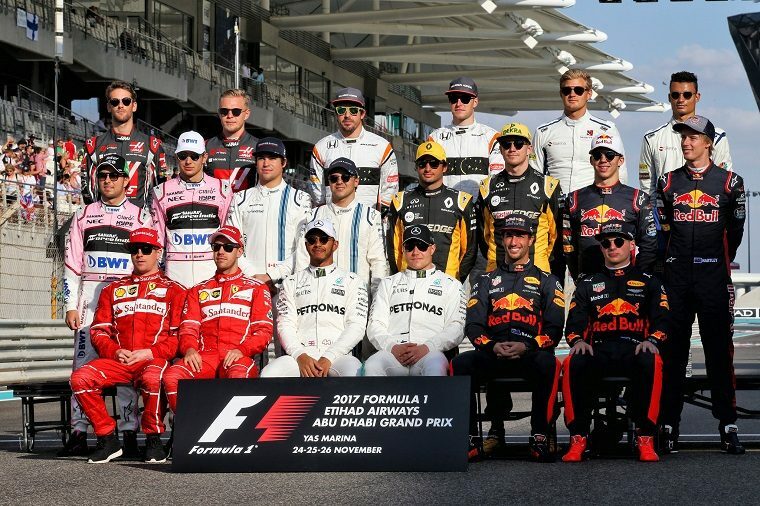 The F1 drivers at the end of the 2017 season. Most will return in 2018. With today’s official announcement that Sergey Sirotkin will drive for the Williams Martini Racing team this year, the 2018 Formula One driver lineup has at last been finalized. There are not as many changes as in 2017, in part because—unusually—a good number of them took place mid-season rather than after the championship had concluded last November. Everything is the same at Mercedes, Ferrari, Red Bull, Force India, Haas, and McLaren, though that’s not to say nothing is newsworthy. Valtteri Bottas was initially on a one-year contract with Mercedes and was glad to have made a good enough impression on the championship-winning team to get another shot at beating Lewis Hamilton. He’ll have to step it up to manage what Nico Rosberg managed in 2016, though. Kimi Räikkönen, somewhat surprisingly, will once again continue at Ferrari despite having consistently performed at a lower performance level for the past two or three years. However, he plays well with Sebastian Vettel, the team’s star driver. There were some questions as to whether Max Verstappen would remain with the Red Bull Racing team following some woeful car reliability problems throughout 2017, but he was convinced to sign on for another three years. Daniel Ricciardo, who no doubt senses Red Bull’s attention is shifting to the young Dutchman, is expected to be looking for greener pastures in 2019. 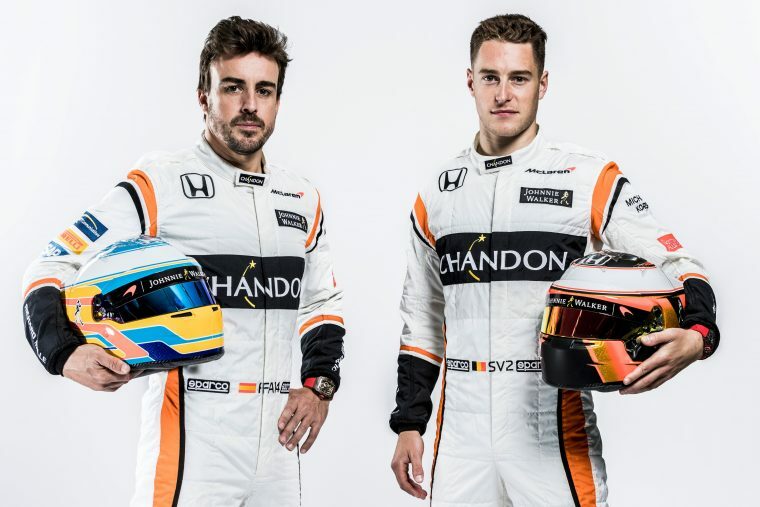 In the meantime, the two of them make up the most talented driver pairing on the grid. The battle between the two Force India drivers was one of the most heated in 2017, with the more experienced Sergio Pérez having the upper hand in the first half and rookie Esteban Ocon edging ahead in the second. At times, their rivalry cost Force India valuable points, and it will be interesting to see how their relationship on and off the track develops in 2018. Both Romain Grosjean and Kevin Magnussen will continue to race for Haas F1, whose second year in Formula One was not as promising as the first. They came out of 2017 looking fairly evenly matched. One of them will need to improve to show they are deserving of a car quicker than the American team can provide. McLaren had one of the most awful F1 seasons imaginable and the fact that both of its drivers were clearly exceptionally talented made it look even worse. It wasn’t easy keeping Fernando Alonso, who skipped the Monaco Grand Prix to race in the Indy 500, but he was swayed after McLaren announced it would get its 2018 engines from Renault, with whom Alonso won both of his championship. Stoffel Vandoorne, last year a rookie, had struggled to match Alonso in the first half of the season but was consistently on his tail and sometimes quicker in the second half. He’ll be hoping to build upon that momentum in 2018 or, more likely, hoping for a better car capable of truly showing off his talents. Car Shopping: Is it better to buy used or certified? 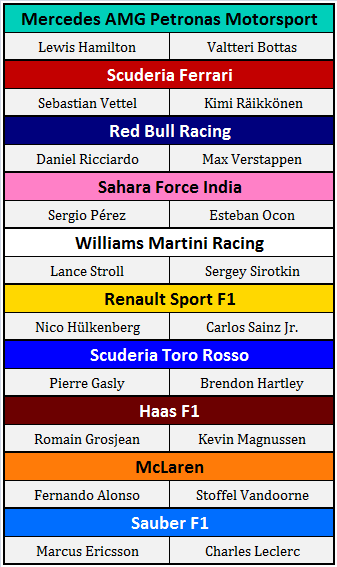 That leaves us with four teams whose driver lineup at the start of 2018 will be different than it was at the start of 2017: Williams, Renault, Toro Rosso, and Sauber. Williams Martini Racing will start in 2018 with the least experienced and at least one of the weakest lineups in Formula One. Lance Stroll, last year a rookie who failed to impress and only lucked into a higher championship position than he deserved thanks to a fluke at the Azerbaijan Grand Prix, could still conceivably improve into a driver resembling one meriting of a Formula One seat, though in the meantime he’ll have his father’s $40 million-a-year deal with Williams to thank for the privilege. Sergey Sirotkin, announced today, will drive alongside Stroll, having put a definitive end to the Kubica hype train. Unlike Williams, who took its sweet old time figuring out who it wanted in its car, Renault went ahead and swapped drivers before the championship had even been over. Carlos Sainz Jr replaced the underperforming Jolyon Palmer near the end of the 2017 season in compensation for ending its engine deal early with Toro Rosso, for whom Sainz was racing previously. He and Nico Hülkenberg should prove to be one of the stronger pairings on the grid and many team bosses will be curious to find out who comes out on top in 2018. Toro Rosso finished the 2017 season with two completely different drivers than it had started with. Sainz went off to Renault and Kvyat was dropped on account of his poor performance. The team’s two new drivers, Pierre Gasly and Brendon Hartley, are almost completely unknown quantities. The 2018 season will be their chance to prove they should stay in F1. Finally, Sauber F1 will field the most promising new driver of 2018: Charles Leclerc, the reigning Formula 2 champion. 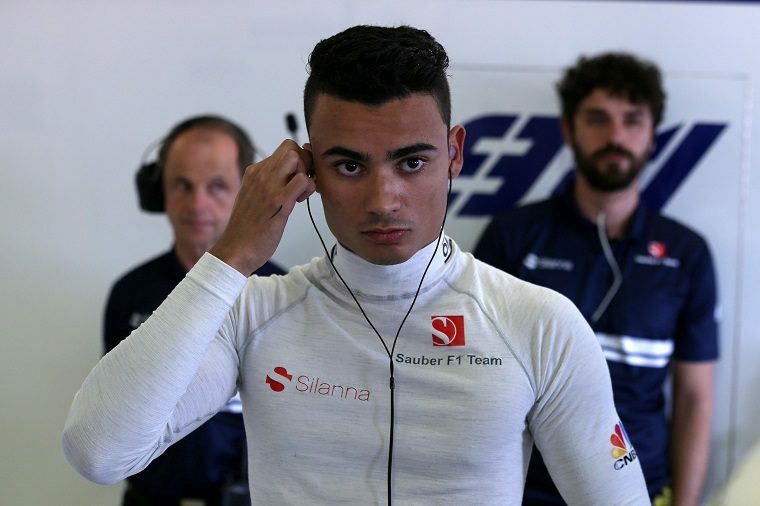 Leclerc is replacing Wehrlein, who is out of an F1 drive—probably undeservedly, given that he convincingly beat Marcus Ericsson last year.